The owners were exceptional friendly and helpful, probably the best we've had in a lot of years travelling .They meet us when we arrived with a welcome drink and explained all about the island, things to do, places to visit and simple things like taxi costs/which car hire to use and a fantastic beach to visit by car. They made sure also we had our requested double and twin rooms . The rooms and generally the property had money spent on it, eg a new bathroom and up to date air conditioning. 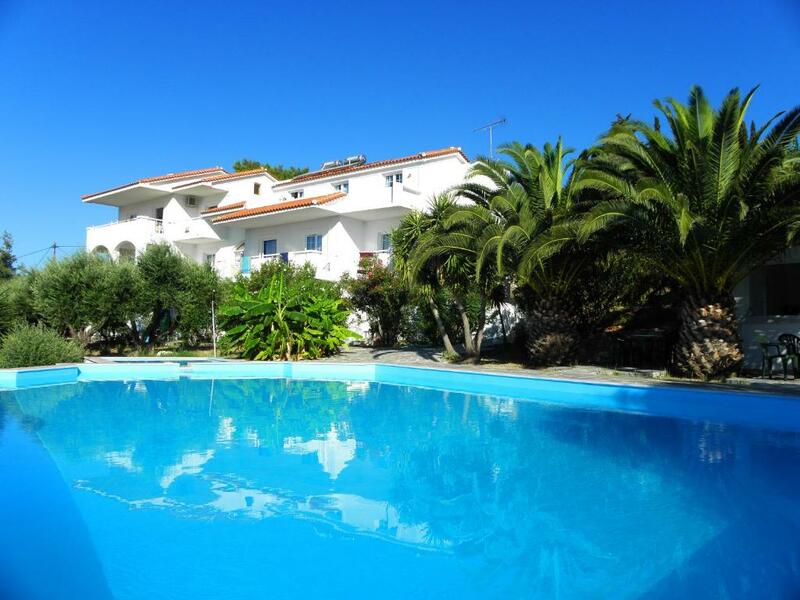 The property had an immaculate pool area with good sunbeds and shade. 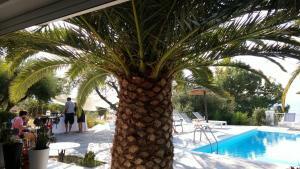 Each room had outside seating area with the views from the upper rooms exceptional to the sea and Turkey. There was a local car hire with a friend service and parking for your car at the hotel. Beautiful location, incredibly clean, gorgeous pool, attentive management and staff. Perfect recipe for relaxation. First of all, many thanks to Dimitra and Yannis, two very special persons. They helped me with every information I needed,they even drove me to Pithagorio to buy an island tour, immediately after I arrived at their villa. 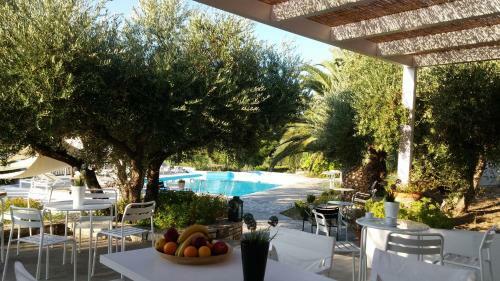 The personnel is very kind and discreet - Maria and the lady who is cleanig the rooms. Comfortable bed, clean appartment, beautiful deco, perfect view to the sea. I recommend this property. Lovely place, nice rooms with seaview. Very nice pool area with wonderful view. Staff was very frindly and helpful. Wish we had booked more than 2 nights. Modern fresh clean large rooms and high standard on bathroom. Nice sea view from balcony (second floor). 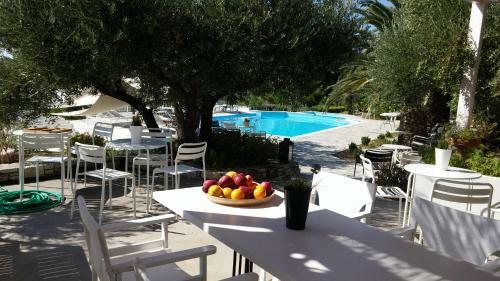 Great pool and poolarea with a lot of sunbeds and relaxing atmosphere. Perfect hangaround in the afternoons. Not overcrowded. Nice and helpful host. Breakfast OK even if not so much to choose from. All in all a very good experience. Lock in a great price for Anthemoessa Villas – rated 8.9 by recent guests! One of our top picks in Pythagoreio.Within 1,650 feet from Pountes Beach in Samos, Anthemoessa Villas features a swimming pool, a children's pool and a pool bar surrounded by a furnished terrace and a Mediterranean garden. 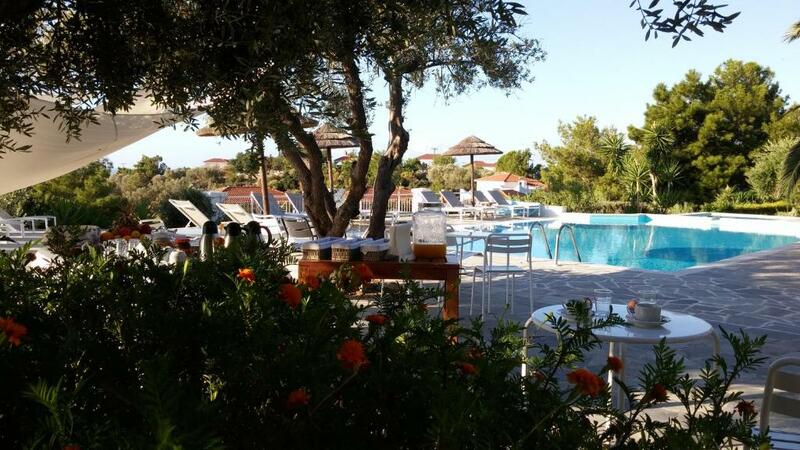 It offers free Wi-Fi in public areas and studios with panoramic views over the Aegean Sea. 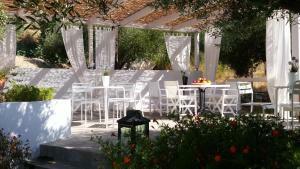 All air-conditioned studios of Anthemoessa are elegantly decorated with well-chosen furnishings and white and blue tones. Each unit features a seating area and a kitchenette with fridge and a coffee machine. A safe and a TV with satellite channels are available. 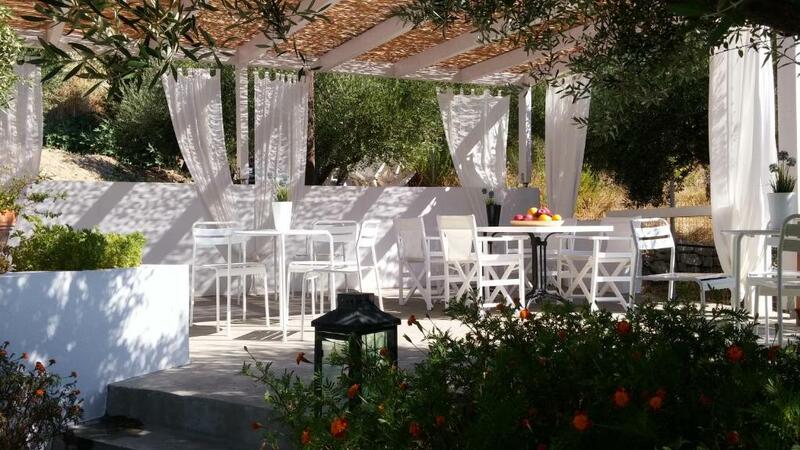 Pythagorio Village, where restaurants and bars are featured, lies within 0.9 mi from Anthemoessa Villas. Vathi Port is at 8.7 mi, while Samos International Airport is 3.1 mi away. Free public parking can be found on site. When would you like to stay at Anthemoessa Villas? Overlooking the Aegean Sea from its balcony, this air-conditioned studio features a seating area and a kitchenette with fridge and coffee machine. A safe and a TV with satellite channels are available. This studio has a seating area, tile/marble floor and air conditioning. House Rules Anthemoessa Villas takes special requests – add in the next step! Anthemoessa Villas accepts these cards and reserves the right to temporarily hold an amount prior to arrival. Please inform Anthemoessa Villas of your expected arrival time in advance. You can use the Special Requests box when booking, or contact the property directly using the contact details in your confirmation. The property is 25 minutes walk into town down a busy road but a taxi is only 5 euros one way so we used that when going out at night. Nice hotel but the bath was small, the room would be better with a large bathroom. 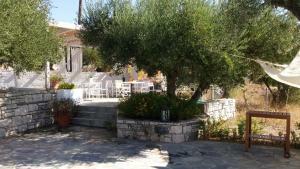 A great place to stay on Samos. Very relaxing. Ground floor rooms a bit dark. Location is a bit off - Ok to walk 25 min down on road with a lot of traffic to Pythagorio. Taxi back for 5 EUR necessary. Beaches near Pythagorio not so nice (Glicorisa 15 min walk away OK). Taxi to nice Pappa beach and Psili ammos around 15-20 EUR one way. Pythagorio overcrowded and not so charming - better in the alleys and to the left of the town nice bar close to beach. The balcony and the view of the sea was not actually how i imagined from the photos. The other room's balconies are just next to you from each side which makes you feel that you are sitting with them. Also the sea view is limited and the road just below can be quite noisy if you are sitting in the balcony (inside to room you don't hear the traffic so it is not a problem at night for sleeping). Also about the location; the nice restaurants are in the town which is 7 mins away with the car. I didn't see any police control, but the car rental places told us that there might be and the limits with alcohol is very strict these days. If you want to drink something next to your dinner then it becomes a risk which you don't want to take. If the hotel would offer some drinks next to pool that would be much nicer to hang around after coming back. Like a glass of wine or so. The room is very clean. It has a simple but a nice modern touch. Actually one of the best places I have seen in the island. Air condition works great. The ladies who work there are always very nice and they have a very nice attitude towards guests. They really make a big difference. Don't expect much from the breakfast, it is very basic, but it is still nice to have. All in all, I would recommend this place. Good beds, good breakfasts, wonderful views, nice people. Lots of hot water for showers, etc. Everything was maintained at a high standard of cleanliness. The hotel is fairly high up, just off the main road from Pythagorion to Samos town, The Kilometer walk to Pythagorion is all downhill, but I would certainly recommend taking a taxi back (5€) All in all I would rate this hotel highly and recommend it to anyone. Quite far from town and a long walk or taxi back. Very small breakfast. 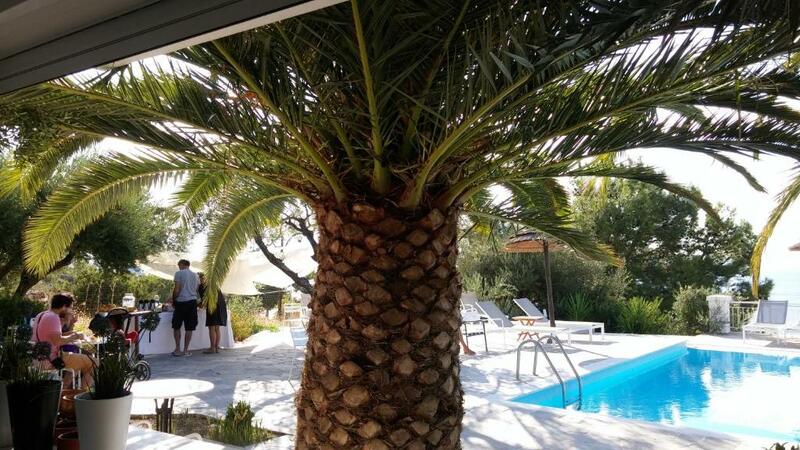 Lots of flowers on the property, view over the sea, kind and friendly employee (Maria), clean, nice to have a balcony, good rooms, pool, nice fresh colours used in the rooms. If you had a car it would be perfect, but not enough space to cook in the kitchenette; it is really only for keeping snacks or wine and cheese.